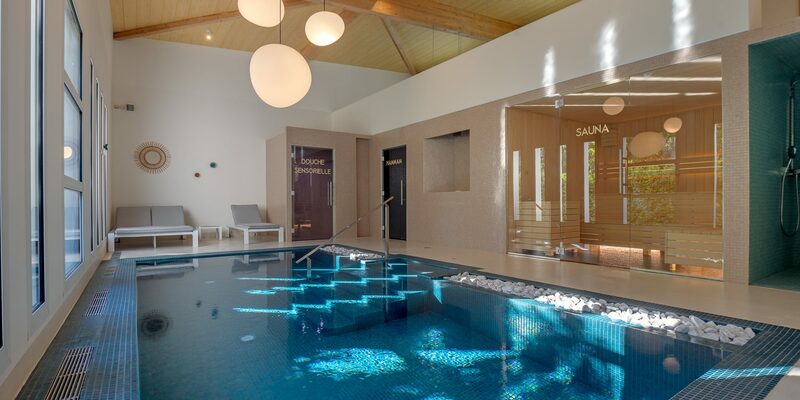 Come and discover our brand new Spa, in the heart of the “Les Jardins Area”. 300m² dedicated to wellness, relaxation and sport. A real haven of peace in the heart of the campsite, our Spa invites you to enjoy body care treatment and massages in order to experience moments of relaxation and exceptional sensations of well-being! Our Spa has two single massage rooms and a double massage room. Our Spa practitioners welcome you to the Spa and advise you about body care treatments adapted to your desires and your needs. 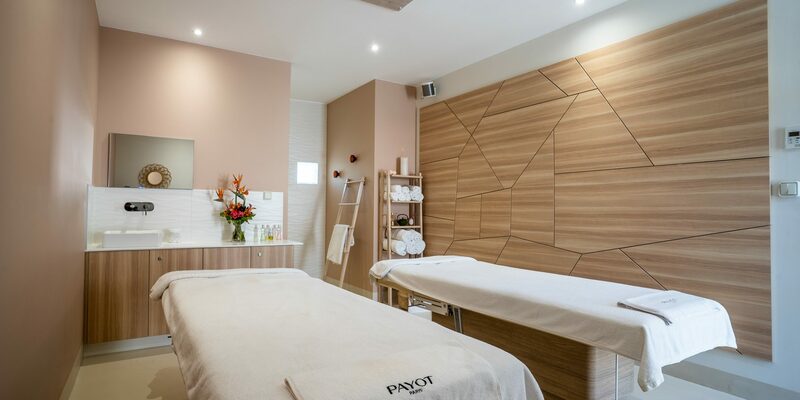 Discover our partners, the cosmetics specialists PAYOT and BAÏJA for facials and body care treatments and O.P.I for the nail salon. 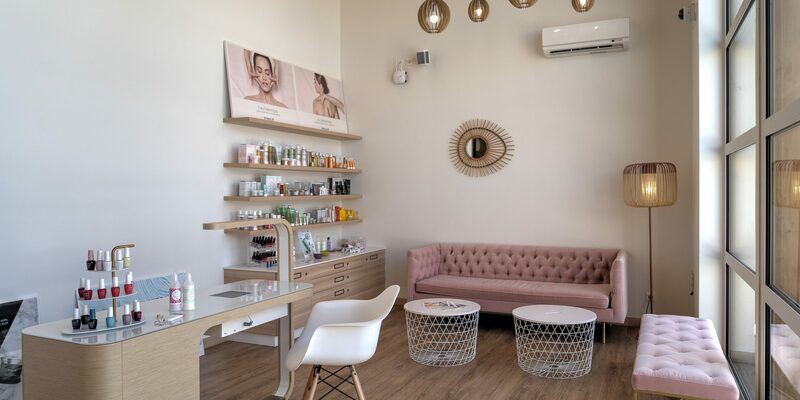 As you choose, you can have relaxing body, back and hand massages, plant reflexology sessions, face treatments, waxing, body scrub and other treatments. Treatments available at the Spa, based upon natural and quality products, are simply perfect to make you relax and feel good. Enjoy also a unique and innovative experience with our massaging chromotherapy flotation bed. Lying on a gloriously soft bed, the water-filled mattress lifts and massages the body using sophisticated pressure jets. 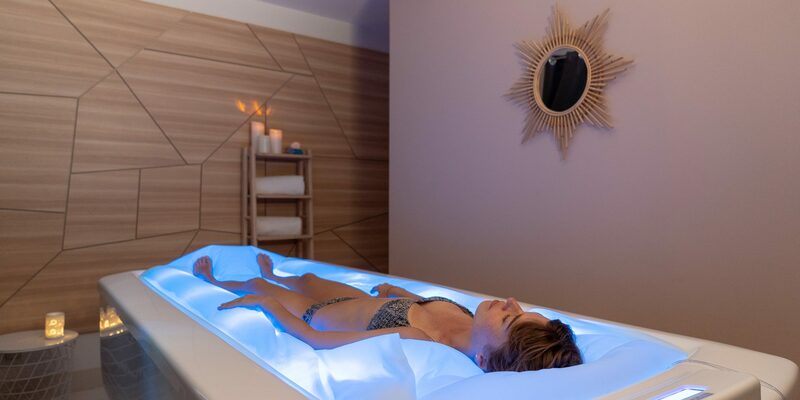 Totally weightless, float away on a cloud in the soothing ambiance created by the light therapy. Visit the Spa’s website to find out more! Enjoy a range of cutting-edge equipement : treadmill, bikes, rowing machine, cross trainer, 4-stack multi-station, lumbar exercise bench etc. The access to the gym is in extra and is reserved for adults. Reservations for the gym are directly with our Spa team.